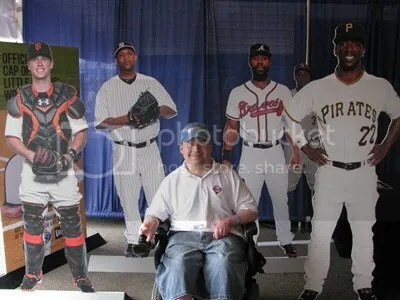 I know this isn’t sports related, but its just too cool. Funko’s line of Pop! vinyl figures have grown in popularity over the years. Comic-Con and Loot Crate exclusives can command serious money on the secondary market. 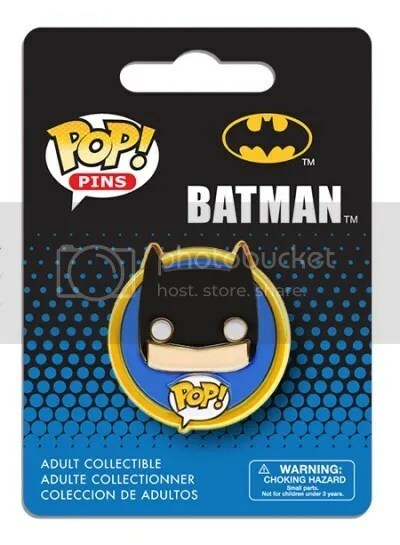 Starting last fall they began making pins based on some of their most popular figures. They aren’t rare, and can easily be purchased for a couple of bucks. Funko needs to make more sports figures. They have some, but not a lot. Characters from television and movies seem to get the Pop! treatment more often. The San Francisco Giants had a Toy Story Pop! figure they gave away in 2014. 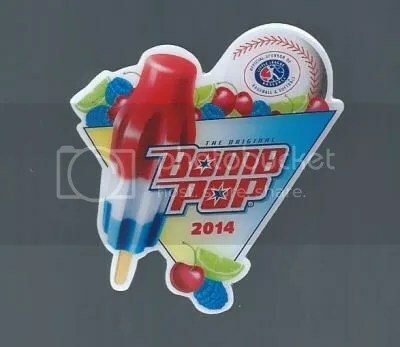 I’d like to see more teams give out exclusive Pop! 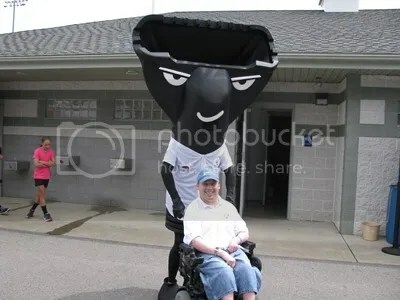 figures as stadium giveaways. The most valuable sports themed Pop! figure I believe is the Seattle Seahawks Freddy Funko one that was available during San Diego Comic-Con last year. I could be wrong though. Those can sell for $100-$135. Sometimes prototypes can find their way out and go for a lot too. Sports Card Info Now Has Pins!!! Look what Santa brought!!! 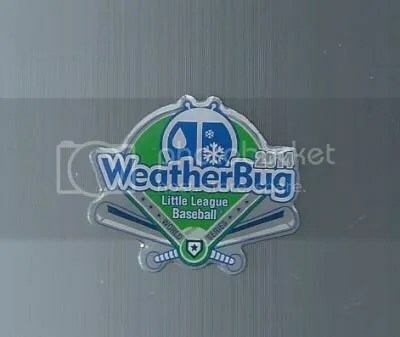 Sports Card Info now has it’s own batch of lapel pins. These were made by Wilson Pins. 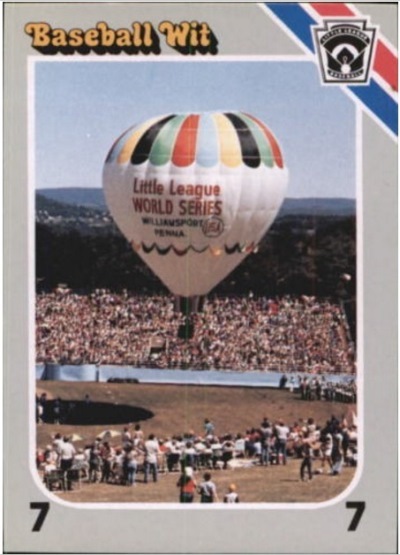 I plan to hand these out when I go to events like the Little League World Series and National Sports Collectors Convention. I’ve got 150 of these bad boys to give out. Don’t be surprised if you see some popup in the weekly contest(s) as well. These are probably one of my favorite Christmas gifts ever. 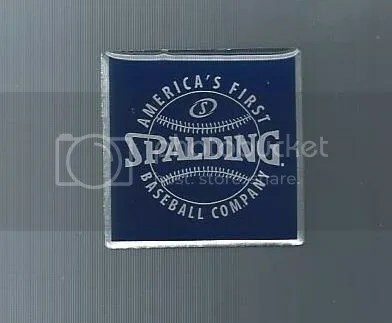 I like items that have Sports Card Info’s name on them. Especially when I can give them away. The Sports Card Info pins will be the #1 collectible in 2016!!! 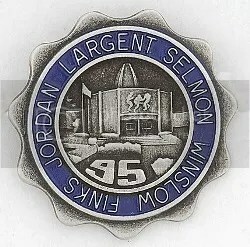 You would’ve thought the Football Hall of Fame had issued specially made pins for high profile guests long before 1995. But that isn’t the case. The HOF began giving out pins to specific guests like the media in ’95. These lucky people were presented with a small box that contained two lapel pins. 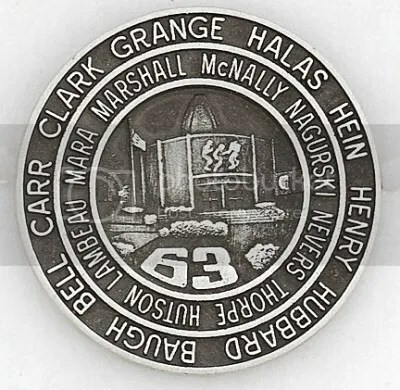 One pin would feature the names of the Hall of Famers who were being inducted that year. 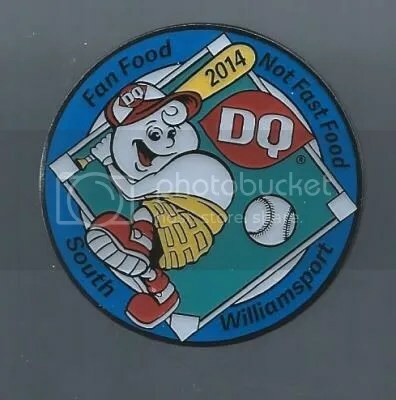 The other pin had a retro theme containing the names of past inductees. 1995 was paired with 1963, 1996 was paired with 1964, etc… The first pins given out in 1995 aren’t serial numbered, but the ones afterward are. Quantities range into the high hundreds. Prices can be between $50.00 to $100.00 per set. They are all made by Balfour. One thing is for certain. Someone will win the World Series tonight. Its either going to be the Kansas City Royals or the San Francisco Giants. After tonight’s game is over, MLB for 2014 will officially be over. I couldn’t decide which pin to use this week, so I just went with both. The Royals and Giants each had a pin for the press this year. These two pins may not look like much, but they come with a big price tag. 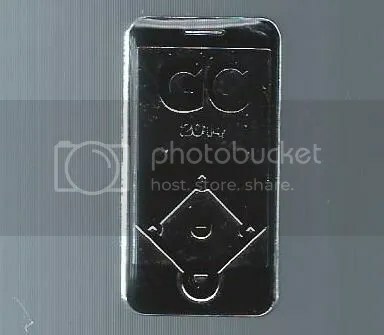 The Royals pin sells for $100.00 to $120.00. Giants fans will have to spend a bit more. 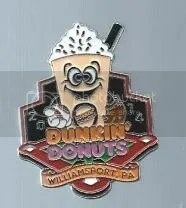 Someone spent $356.00 on a Giants pin, but a handful of others have seemed to settle for $150.00 to $250.00. Prices will probably lower after the World Series has passed. 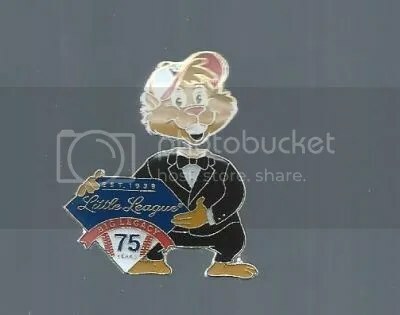 Little League Baseball is celebrating it’s 75th Anniversary this year. 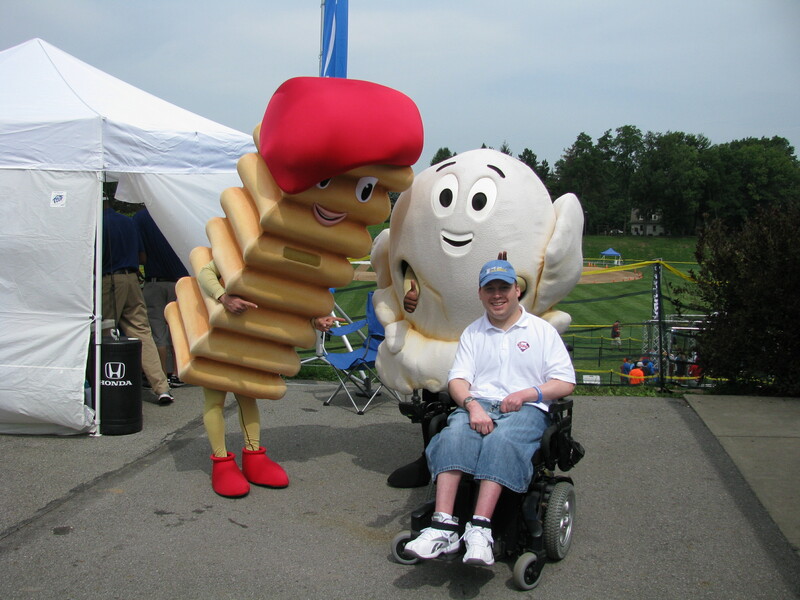 This weekend I took my annual trip up to South Williamsport in search of as many pins as I could find. I ended up coming home with 16 new pins, plus 6 duplicates. So 22 in all. 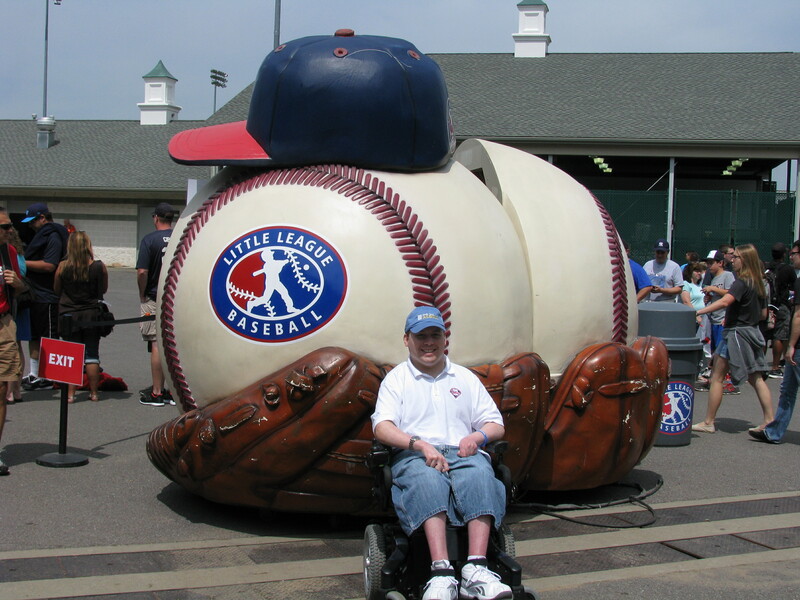 In all the years I’ve been going to Little League, I’ve only watched one game. I go for the food and promos. Its almost like having an extra day at the National. Get a good look at some of the pictures, pins, and promos I got. 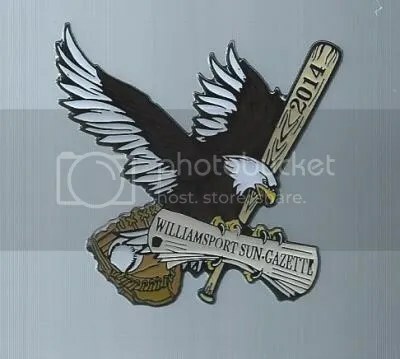 Williamsport Sun-Gazette – this pin looks exactly like last year’s. They just changed the year. 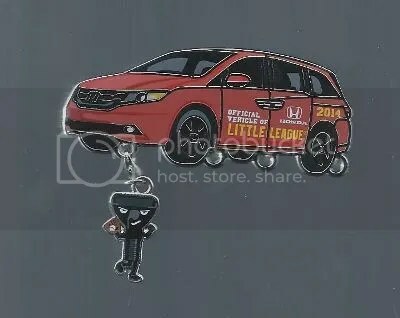 Their other pins for 2014 are different though. This pin was inspired by the newly created artwork by 3D Pop Artist Charles Fazzino. Honda – in order to obtain the peanut, popcorn, and french fry that hang on the bottom too, you needed to do a bunch of activities at their booth. 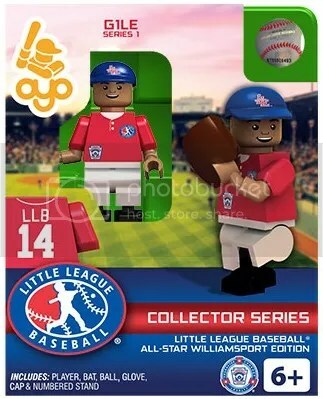 I usually don’t go in the main gift shop, but I needed to pickup the new Little League OYO minifigure. I knew OYO would find their way to Little League someday. Boston did it again last night. They went on to win the 2013 World Series. I wonder if Bobby Valentine was watching? Former Phillie Shane Victorino got it started with a bases loaded blast off the Green Monster, while Big Pappi went on to be the M.V.P. Its the first time the Red Sox have won the World Series on their home field in 95 years. 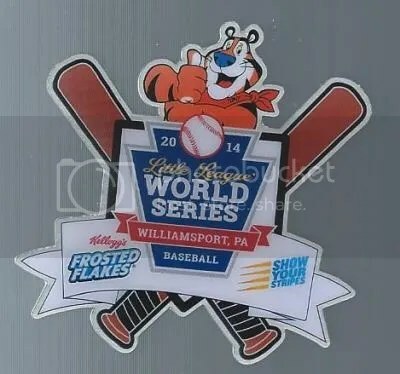 The World Series has a lot of merchandise. Just ask QVC and HSN. They probably started churning out Red Sox stuff as soon as Carpenter struck out. 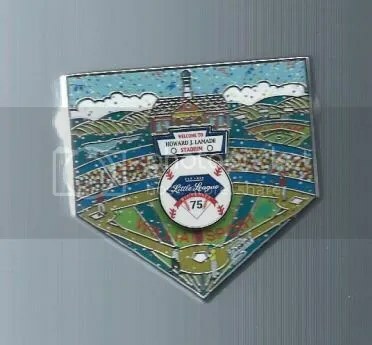 Two of the biggest collectibles you could get from this past World Series are the press pins. The Cardinals and Red Sox each had a pin made for members of the media. 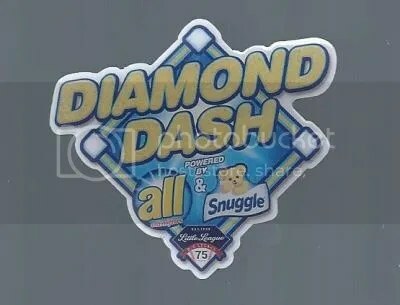 Right now would not be the ideal time to purchase one as the World Series hasn’t even been over for 24 hours. 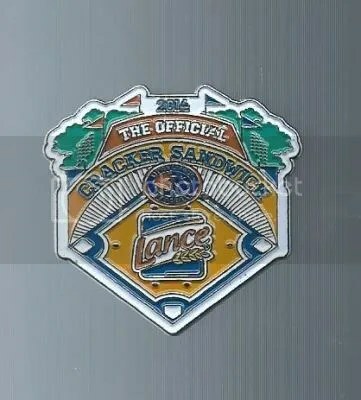 These are in high demand selling for $150.00 per pin. I’d let some time pass before adding either one to your collection. They’ll cool off.